Ants can be a nuisance in our homes as well as our gardens and farms. 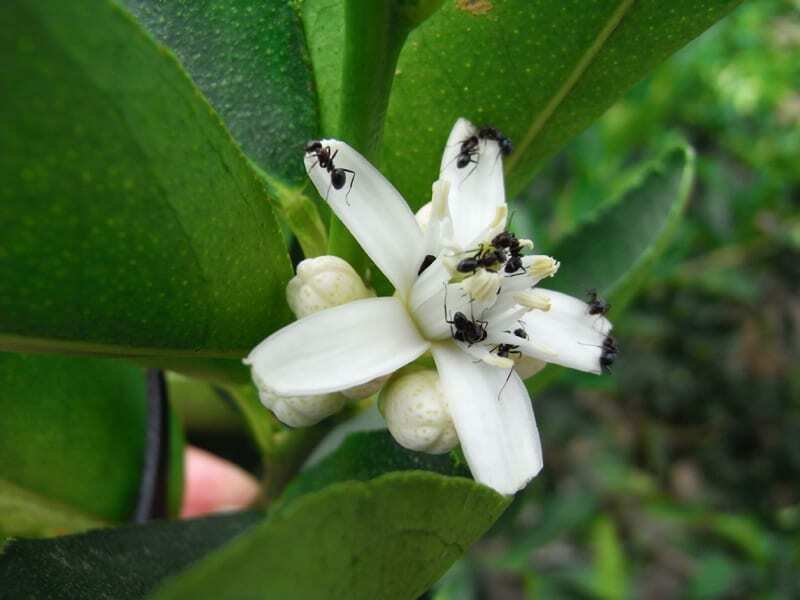 In an orchard they can interfere with biological control agents and encourage pests. They will aggressively attack parasites and predators and this in turn encourages many important pests such as aphids, mealybugs and scale insects. It is important to remember that ants also play a key role in our environment by removing waste and recycling. There are very many species of ants and while some of them can be troublesome the great majority are benign and indeed can be very beneficial. For these reasons we may want to manage nuisance ants without entirely eradicating all ants. 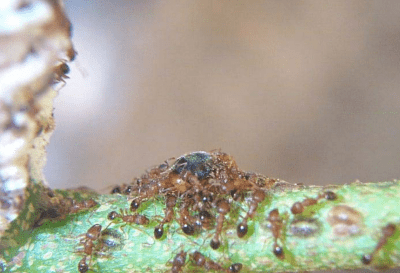 Chemical control of ants is not easy because of their complex social behaviour. They often have large colonies that may be some distance from the area where they are making a nuisance of themselves. Attempts at chemical control rarely last for any length of time. Ensure all food scraps, no matter how small, are cleaned up quickly and thoroughly. This is vital as depriving them of access to food quickly discourages them. Ants are not in the business of visiting your home for the fun of it. They are there to get the essentials of food, water and possibly shelter. All food should be kept in well sealed containers to deny access to these unwanted intruders. Again ants will only expend energy climbing onto trees, vines or other plants if there is some reward. To some extent this can be a ‘chicken and egg’ situation. 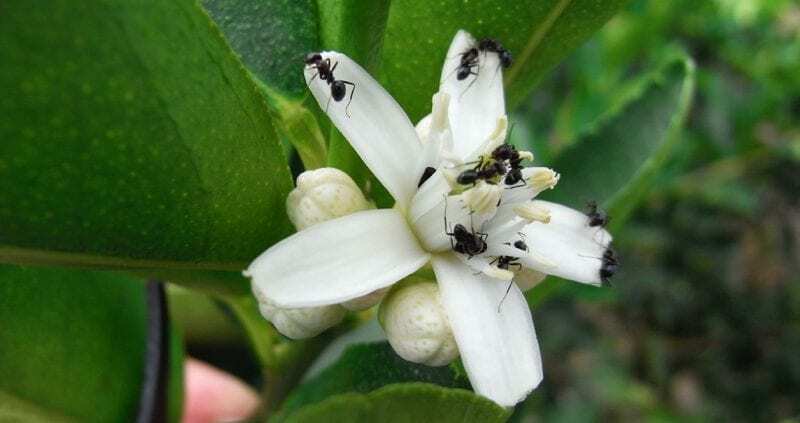 Are the ants there because of the mealybugs or vice versa? A variety of ant baits are available. The simplest of these is an old but well tested bait which incorporates borax as the toxicant. Small quantities of this relatively innocuous compound are taken back to the nest by an army of ant workers. It takes some time but eventually this action can reduce in size or kill out the colony. The important thing about an ant bait is that it should not be so toxic as to kill individual ants quickly before they have had a chance to return to the nest to transfer the toxicant to the colony at large. A simple recipe for an ant bait is 3 cups of water + 1 cup of sugar with 4 teaspoons of borax. Some ant species prefer more or less sugar or may respond to protein (crushed dry dog food formula can work here). Some commercial ant baits are available and these can be more or less effective. It is important to understand the habit of the ant species that is causing your problems before choosing your ant management strategy. Because ants do not have wings (other than when swarming) we can exclude them if plants or other valued items are kept on elevated benches. The use of sticky barriers can be an effective tool. In this case it is important that there are not alternative access points that the ants can use. There are several sticky compounds available for this purpose. 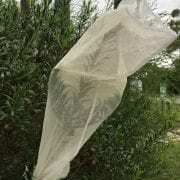 It may be necessary to re-work the material or apply a fresh band from time to time as dust and leaves can reduce the effectiveness of the barrier allowing ants across. A simple water barrier can also be a great way to stop ants in the home. A water bath can be used to prevent ants from accessing the honey jar or the kitchen bin.